I’ve been trying to write a bucket list for years, ever since that one movie came out and everyone else was doing it (I’m a follower sometimes. Truth.). But, to be honest, my list is rather paltry. I never know what I want to do past “Go to Greece” (which I feel like everyone wants to do anyway, so it doesn’t feel personal enough to be on my bucket list and therefore is sometimes left out, too). 2. Go to Greece Go somewhere that’s cool but no one else thinks is trendy enough to go to. 3. Bake pumpernickel bread. 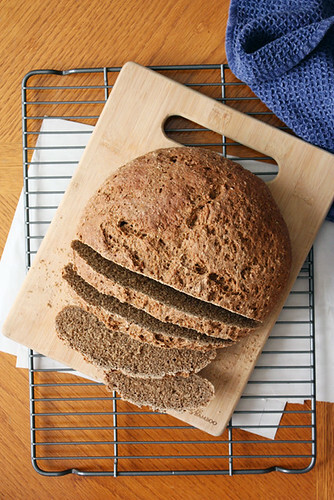 Bake Russian Black Bread. 3. 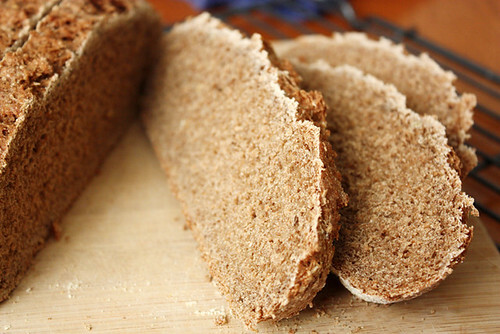 Bake Russian Black Bread. I may finish this list after all. Preheat oven to 350 degrees F. Bake bread until deeply browned and 200-210 degrees when an instant-read thermometer is inserted in the bottom center, about 45 to 50 minutes. Allow bread to cool completely on cooling rack before slicing. 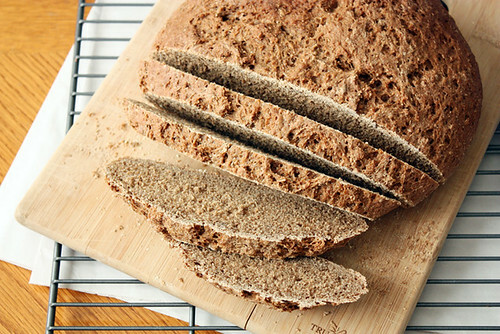 I`ve seen this recipe before and I always wander why people call this kind of bread “russian”? Really. I live in Russia and can assure you that traditional black (rye) bread never contains such ingredients like vinegar, cocoa powder or espresso. The most popular kind of rye bread here is called “Borodinsky”. It contains water, rye and wheat flours, yeast, salt, molasses (or more often sugar), rye malt and coriander seeds – that`s all. I hate to disappoint you, but it is not a Russian bread at all. Raisa has already explained why, but I’d like to add that Russian rye bread is always made with sourdough, not even yeast. It helps keep the dough acidic enough to manage rye flour enzyme activity. Raisa and Helen — Thanks for the comments! I didn’t label it as “Russian” with the intention of claiming it to be the type — I simply followed suit from the original recipe’s name (see here). Russian or not Russian, it’s delicious. You did not have enough water in your recipe, and you did not autolize the loaf long enough, and you baked it for too short a time, on too low heat. Now, what you need to do, is get a good Russian rye bread recipe, then rest the dough in the frig for about 4 days ,( autolize it ) under cold, so it cannot rise ! Next, take it out of the frig, let it rise by double or a tad less. Heat the over to HOT ! When the light blinks off, after about 30 minutes,( full heat ) put the bread into an oiled pot, slash the top, and add the lid. To the oven, let it bake under full heat, till the light blinks off, and bake it at 425f for a total of 1 hour, and 1hour, 15 minutes. Remove the loaf from the heat, and put it into a turkey roasting bag, close it tight, and let it cool, when room temp, break out the butter. You will have a loaf to be proud of ! If you want some advice go to; The Fresh Loaf, ( on the internet ) or e mail me..